Quentin Johnson (Life Science/Genome Science and Technology, Univ. of Tennessee, Knoxville, 2015) is developing a model to identify allostery and the mechanism by which the allosteric signal is initiated and propagated in the peroxisome proliferator-activated receptor and retinoid X receptor complex, which are proteins involved in preventing growth of cancer cells. 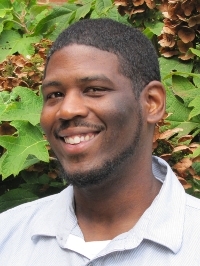 Upon completing his fellowship at NIMBioS, Dr. Johnson accepted a position as a postdoctoral fellow in the Center for Molecular Biophysics at Oak Ridge National Laboratory.